Hybrid regionalism represents a diplomatic alternative for small and middle power states in Asia. The rise of China has posed a significant challenge to the primacy of U.S. power in Asia. 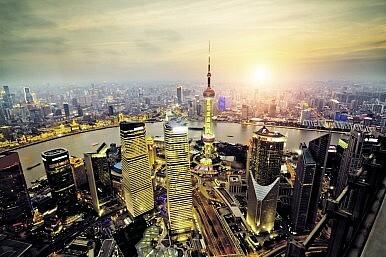 The Chinese “dragon” has become the main source of economic development and opportunity. China seems likely to sit at the top of a new economic hierarchy in Asia. At the same time, the old security order is still in place. The American “eagle” still hovers in the Asian sky and keeps a close watch on the Chinese dragon. America’s hierarchical security order involves a system of bilateral alliances. These alliances exist side by side with the new economic order that China is creating. Will 21st century Asia be divided and dangerous by the rivalry between the U.S. and China, or will it enjoy peace and prosperity enabled by cooperation between the two great powers? Four scenarios that frame the discussion of new Asian order include U.S. primacy, a new cold war, the return of a Sino-centric system, and a concert of powers. In the short term, U.S. primacy is likely to continue, but its prospects over the longer term are questionable. Aaron Friedberg presents a pessimistic view of an emerging new cold war in the Asian security order; and points out that the absence of economic interdependence, multilateral institutions and shared liberal democratic domestic political systems would drive Asia toward rivalry. The fourth scenario is the formation of a concert of powers. To avoid, reduce, or manage the competition and even military conflict between the U.S. and China, Professor Hugh White of the Australian National University, a former senior security advisor to the Hawke government, has proposed that the U.S. and China should work together to form a concert of powers. In contrast to the school of U.S. primacy, White argues that U.S. primacy will disappear and the U.S. must give up its claims to such primacy. In contrast to the school of the new cold war, White thinks that strategic competition and new cold war can be avoided through the development of a concert of powers. In contrast to Kang’s idea of a Sino-centric order, White is clearly opposed to the idea of China obtaining hegemonic power in the region. In the above intellectual and political context, my research has been focusing on the rise of China and its impact on regional order. I organized two workshops on the rise of China, which led to the publication of three special issues in Journal of Contemporary China (2012), Australian Journal of Political Science (2012), and Asian Survey (2014). I have also offered a course titled “The Rise of China” each year for more than ten years. In particular, I develop the concept of hybrid regionalism. I argue that White’s idea of a concert of powers overlooks the important role of ASEAN-led regionalism. As a remedy I combine the idea of a concert of powers with that of ASEAN-led regionalism. Moreover, I shift the idea of a concert of powers towards a new hybrid regionalism. In particular, I describe the emergent hybrid regionalism, identify its key components at the ideational, institutional, and outcome levels. While the idea of hybrid regionalism is largely descriptive, it has a small prescriptive component in relation to policy considerations. Asian hybrid regionalism can provide a third road or space for small and middle power states who can work with both the United States and China in a hybrid regionalism framework, and in particular, some cross-membership countries like Australia and Singapore – in the sense that they are both members of the Trans-Pacific Partnership (TPP) and the Regional Comprehensive Economic Partnership (RCEP) – can play a mediating role. Professor He Baogang is the head of Public Policy and Global Affairs, National Technological University, Singapore. Professor He is the author of five books, most recently Governing Taiwan and Tibet. His next work, In Search of the Normative Order in Asia will be published in 2016. He is currently working on a book titled The Ideas of Regionalism in Asia. Professor He is on the faculty of the Master of Arts in Contemporary China program, and teaches CC6290 The Politics of the Rise of China. Both Japan and India may be best served by their existing alignment instead of pursuing an alliance.